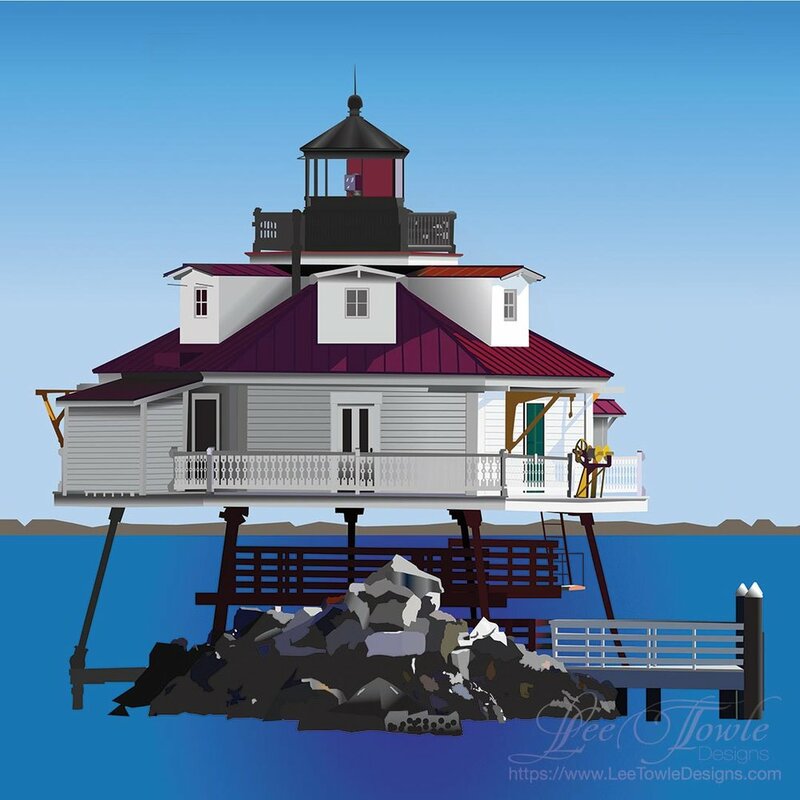 This collection is a digital painting of Thomas Point Shoal Lighthouse. This particular digital artwork holds a special place in my heart as I used to work on this lighthouse when I was in the U.S. Coast Guard. This was many years ago, but I still think about it often. It is located in the Chesapeake Bay just outside of Annapolis, MD. This unique digital painting available in a number of print options, such as canvas print, framed print, poster, metal print, acrylic print, and wood print. It is also printed on a variety home decor items, such as duvet cover, showe curtain, coffee mug, tote bags, notebooks, yoga mat, and more. Below is just a sample of the items available. Click on the button below to see all available items in this collection.